Before i moan about these products i thought it only fair to include a disclaimer stating that these are just products i didn't like for my skin/needs/lifestyle, they might work wonderfully for some but i thought it only fair i include things i'm not loving once in a while! Now some of you will know i travel a lot, so any travel product usually tickles my fancy. I'd seen youtubers rave about this chubby little travel razor that comes in a handy dandy case and, naturally, figure i needed it. Don't get me wrong, this thing is cute as heck but truly, it doesn't take up any less room than your regular razor, if anything its much bulkier than a regular stick razor. At first i loved it but after using it while traveling for a few months i realized it just took up valuable space in my travel bag. I find the stubby little handle kind of annoying to use on legs just because it takes so long and you have to hold it sort of strangely. The case is handy because it keeps the razor from sticking to or catching on things but its actually pretty bulky. I will say the drainage holes in it are a nice feature so nothing goes stale or gross in your bag. If you don't mind how you have to hold it and have room for the case, you may well love it. Personally i'm sticking to the Dollar Shave Club. Another "i see what you're doing but really there was no need" product is the teeny weeny beauty blender. Again, i was tempted by the cuteness cause miniature things are just... adorbz. The only time i might see this more useful than the original sized one is for precision spot correction but, again, the original size has a perfectly good pointed tip. 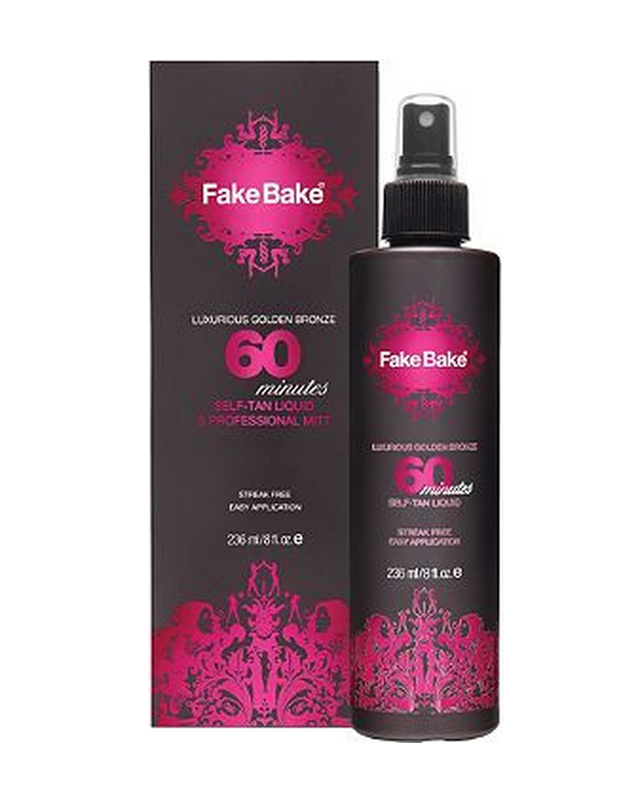 I'm a bit of a fan of Fake Bake already so figured i'd try their 60 minute tanner that boasts the same results as their Flawless tan, only faster. I sprayed it on the mitt first then rubbed it into my shin, i noticed that it made my skin look decidedly dead and sort of green-tinted so the next spray i just put straight on my leg and sure enough... the solution is GREEN. Like not olive-toned, straight baby-beauty-blender green. I did both legs any way (decided to use their regular tanner on the rest of me to avoid frightening anyone) and didn't find it changed color at all over the space of the next hour or the following one. I washed the solution off after the recommended maximum time and found my skin was a little darker but much patchier than i get with their other products. Just not the product for me because i couldn't get past the weird green shade. Perhaps i'll try layering this over an existing tan and see how that comes out. Over all i'd recommend one of their other tanners instead. Lastly, maybe the biggest disappointment was the Kevyn Aucoin sculpting powder. This product is LOVED among the beauty community online because of its neutral tone and great pigmentation. I can't find a single combination of foundation and brush that doesn't make this look extremely muddy and messy on my face. If you have recommendations for what base to use this on or which brush to use with it, please let me know cause i badly want to like this one! What have been your biggest beauty disappointments?